Each year the colour gurus at pantone announce a colour of the year. This choice influences the direction of fashion and beauty as well as interiors for the year. 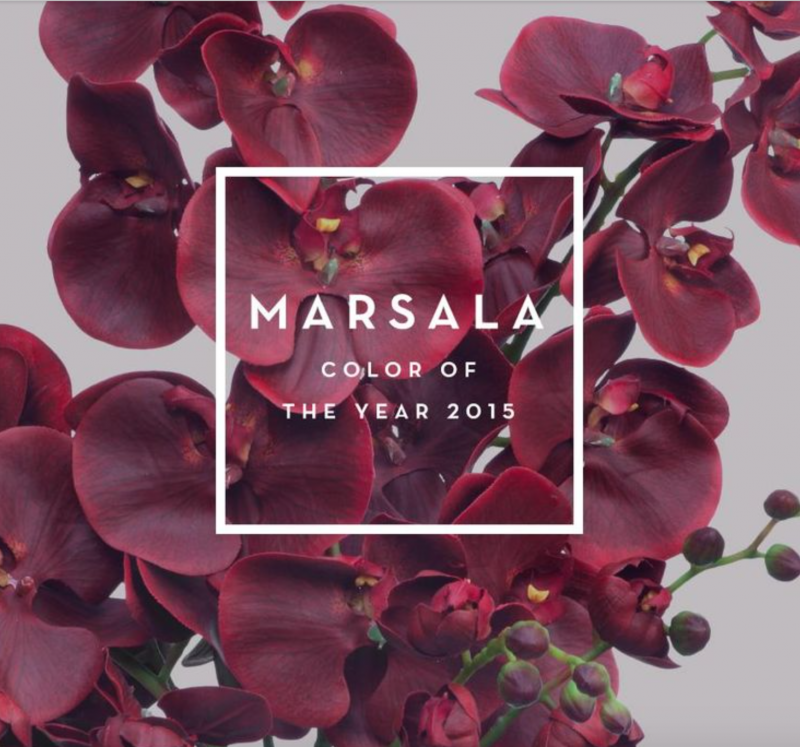 For 2015 they have chosen marsala, a warm rich colour with its base in reds and browns which gives a sophisticated stylish tone. We think it appeals to both men and women and gives a really warm feel to a room. We’re currently pairing a similar shade with some carrara marble tiles in a client’s bathroom. Leading on from Marsala we have seen some beautiful paler copper tones. These work really well when paired with other pastels and the key is not to go so feminine that it becomes sickly. 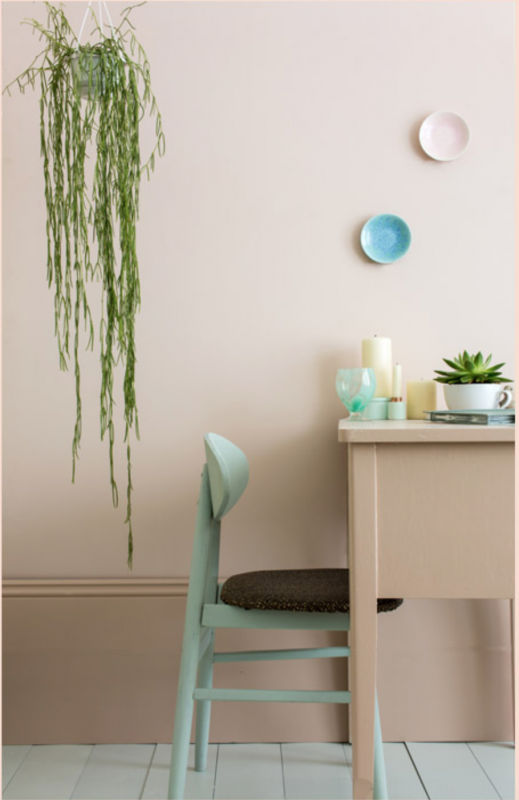 Farrow & Ball have a good example in their Pink Ground, shown below with the blue Pale Powder and Teresa Green. 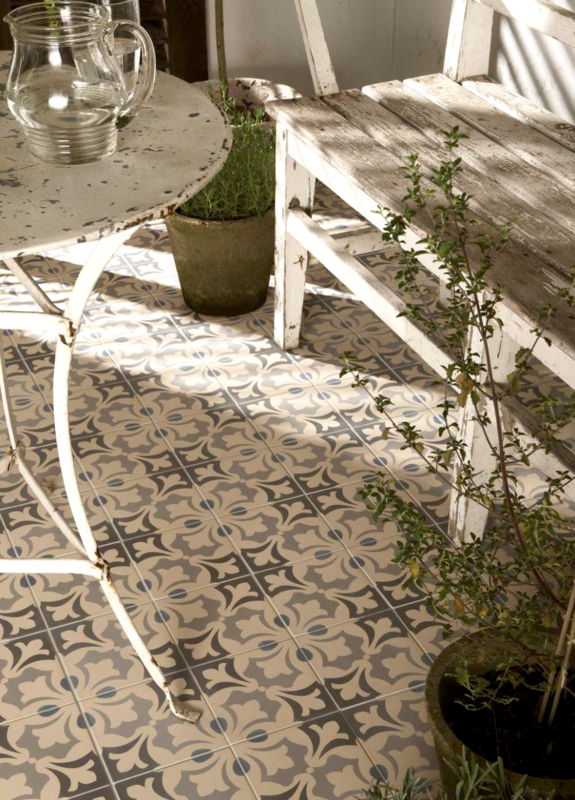 We are delighted to see that patterned tiled floors are going mainstream. We have seen lots of different patterns with influences from North Africa and Europe. Tile companies are being inspired by Moorish and Turkish designs, Floors of ancient French churches and our very own traditional Victorian entrance halls. We are currently using this Rococo tile in a modern bathroom, paring it with a dark oak, bespoke vanity unit and a back lit leather strapped mirror. Grey as a mainstream neutral. 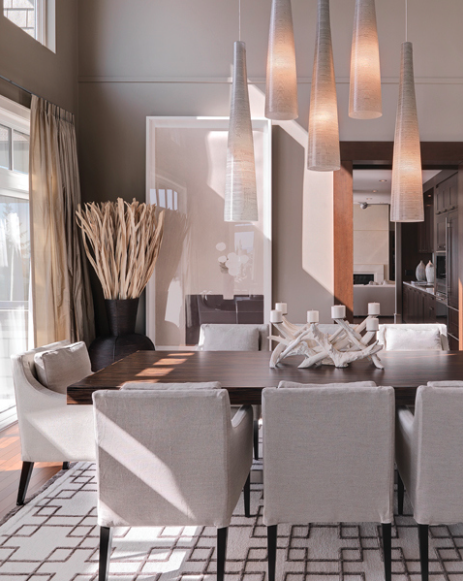 Grey has historically been seen as cold and commercial without a role to play in our homes. However creams, magnolia and beige look very dated so a warm grey is a much better choice for a neutral. It can be used in different tones within the room, pale grey walls (try Cornforth white from Farrow & Ball) works well with darker charcoal furniture and woodwork should be in an off white such as Zoffany’s Warm White. (Image below designer unknown).